Then you’ll need to add a few patches. The first one is the purple Scouting World Crest Emblem. This gets located over the left pocket. 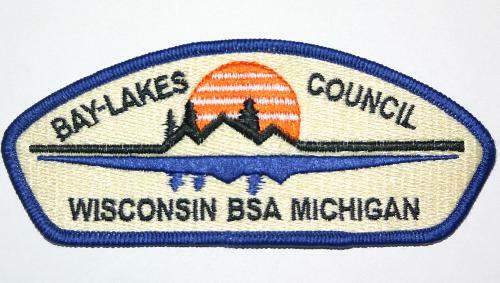 Next, you’ll need the Bay Lakes Council patch. This patch goes on the left shoulder. 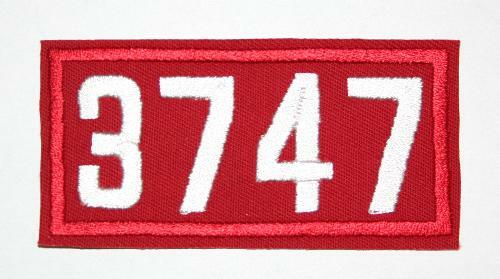 Then you’ll need the pack’s unit ID number (3747) patch. This patch goes on the left shoulder below the council patch. The unit ID patch is available from the Pack. Finally, you’ll need the den number patch. You’ll need to know what the den number is. Your son’s den leader can help you with this. This patch goes below the US Flag on the right shoulder. The attached link at the bottom of this page will show you where all of these patches should be placed. 1st Grade scouts wear the orange Tiger neckercheif. 2nd Grade scouts wear the yellow Wolf neckercheif. 3rd Grade scouts wear the blue Bear neckercheif. 4th and 5th Grade scouts wear the plaid Webelos neckercheif. You’re all set! 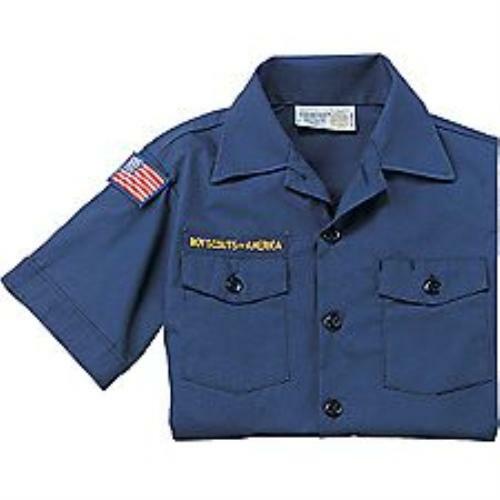 Your son is ready to earn the rest of the patches that will go on his uniform. Where can I purchase uniforms and patches?